The Porta-Trace LED Light Panel is whiter, brighter, and the best value available. The LED Light Panel has an ultra-slim ¾" (1.9 cm) profile and includes a removable adapter, making it easy to transport the light panel between locations. Featuring an anodized aluminum frame in a variety of colors and a durable Plexiglas working surface, the panel can be mounted on a wall, or placed on a tabletop in a portrait or landscape orientation (display stand and legs are not included). The Porta-Trace LED Light Panel features an eco-friendly design with long-lasting LED lights and an estimated bulb life of 50,000 hours. It uses the brightest LED lights available while providing beautiful, white, uniform lighting across work surfaces. It has an aluminum frame and a durable Plexiglas working surface. 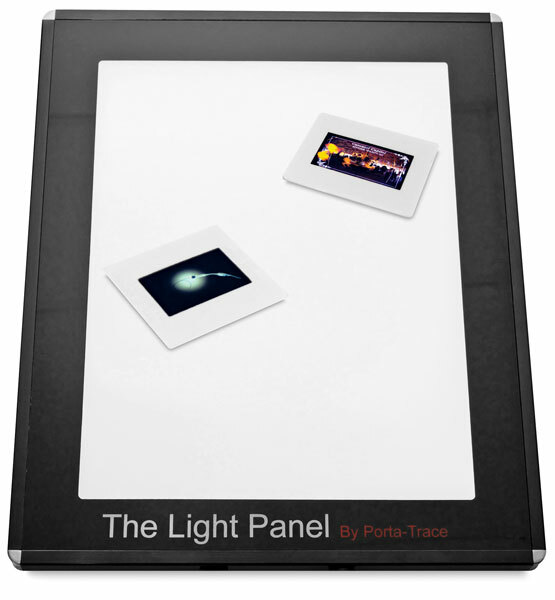 The Porta-Trace LED Light Panel is manufactured in the USA with all components being UL, RoHS and CE compliant. It operates on 100/240V. The Porta-Trace is great for sketching and rendering, backlit display, engineering and architectural drawings, embossing, inspection, quilting, and tattoo transfer.